Plus500 is a leading provider of Contracts for Difference (CFDs), delivering Leveraged trading on +2,700 financial instruments, including Forex, Commodities, Indices, Shares, Options and Cryptocurrencies. What is Plus500 and is Plus500 safe to use for trading cryptocurrencies using contracts for difference (CFDs)? Those are just a couple of typical queries our users ask us here at Best Bitcoin Exchange. That’s why we’ve undertaken a comprehensive Plus500 review, designed to equip our readers with everything they need to know about how this crypto broker works and the Plus500 fees you’ll incur using their brokerage services. Plus500 is derived from Israel and was established back in 2008. During the last decade, it has become one of the go-to CFD trading platforms for investors looking to trade forex, stocks, commodities and now cryptocurrencies too. As a public listed company on the London Stock Exchange, it is clear to see that the Plus500 trading platform is one that means business. What is Plus500 and how did it originate? Plus500 Ltd is headquartered in Haifa, Israel, although it has subsidiary operations based in the United Kingdom, Cyprus and Australia. Upon its launch in 2008, Plus500 offered desktop-based online trading via its own dedicated platform. A year later, the Plus500 Group began to offer CFD trading on shares without commission. In 2012, Plus500 set themselves a goal to become the world’s leading CFD trading brokerage. Cryptocurrency CFDs have always been a key part of that long-term goal and Plus500 was the first to introduce a Bitcoin CFD in 2013. It was eventually floated on the London Stock Exchange with a market valuation in excess of USD$1 billion. If Plus500 fees are one of the most pressing concerns you have about choosing a cryptocurrency broker, let’s consider the costs and limits you may experience as a Plus500 client. Plus500 trading brokers do not charge commissions on individual trades placed. Their income is generated solely from the spreads offered. Although it outperforms many in terms of its forex spreads, it lags behind the likes of eToro, which we’ve reviewed already, when it comes to stock and crypto spreads. It’s worth noting that Plus500 trading customers are charged a £10 inactivity fee if their account goes more than three months unused. Those wishing to withdraw under the minimum withdrawal figure are required to pay a USD$10 fee, except for those using credit or debit cards. Plus500 clients receive five free withdrawals monthly from their account. Those who exceed this limit must also pay USD$10 per each additional withdrawal. The Plus500 trading platform is accessible via desktop and mobile devices. The web-based trading platform is highly intuitive for beginner investors, but as you become more experienced with CFD trading, you’ll notice that it lacks more sophisticated tools such as research and Plus500 leverage setting options. The leverage ratio is set on the web-based trading platform at 1:300 by default. Minimum leverage available for most cryptocurrency CFDs is 1:2. The order management functionality is straightforward, allowing users to implement stop losses and take profit orders at the touch of a button. The Plus500 mobile trader platform is available on iOS, Android and Windows mobile devices. The Plus500 app incorporates all of the main features of the web-based trading platform, allowing you to undertake the same actions as you can with the web-based software. The only downside is that the Plus500 app lacks fundamental research data or relevant news feeds to augment its technical charting. 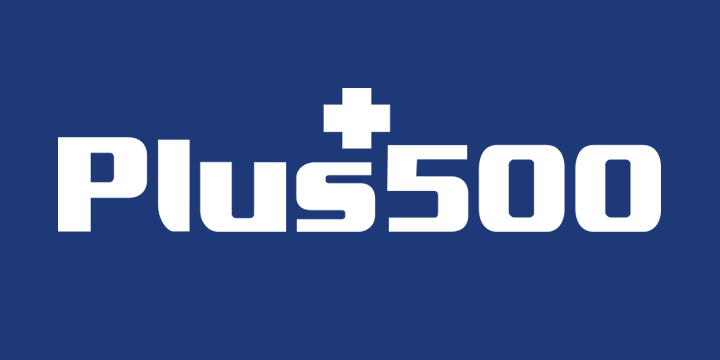 Given Plus500’s reputation as a well-regulated and public limited company on the stock market, Plus500 offers a great choice of payment methods for clients to use for depositing and withdrawing. Credit and debit cards are naturally popular, as are bank wire transfers. Two of the leading e-wallets are also permitted, allowing you to buy Bitcoin with PayPal and Skrill accounts. Note: The minimum Plus500 withdrawal amount to PayPal accounts is USD$50 and USD$100 for wire transfers and credit or debit cards. Those wishing to withdraw an amount lower than these minimum fees will incur an additional USD$10 charge. It is pleasing to see that Plus500’s customer service department is well-equipped to handle live chat and email queries with speed and reliability. It’s worth noting that the level of quality in terms of the broker’s live chat handlers can vary at times. This can be somewhat frustrating if your handler does not understand your request. Nevertheless, you can rate your live chat handler at the end of each conversation, giving you the option of leaving detailed feedback on their shortcomings. Unlike some cryptocurrency brokers, Plus500 does offer customer support in a range of languages and is also available 24/7. This is an improvement on AvaTrade, which only offers 24-hour customer support Monday to Friday. It’s great to see that Plus500 allows newcomers trading cryptocurrency CFDs a chance to dip their toes into the water gently using a demo trading account. This demo account has no time limit on how long it can be used, which is pleasing given that many comparable brokerage firms limit their demo account access to just two months. This is a recommended way to learn and hone your cryptocurrency trading strategies before making a real-money deposit. Plus500’s clients are each given Negative Balance Protection, guaranteeing that traders can never lose more than the funds they originally deposit into their Plus500 trading account. This is a huge bonus for beginner CFD traders that may struggle to come to terms with the market leverage offered when opening cryptocurrency trades. The Negative Balance Protection works in the background, alerting traders if their orders are pushing their accounts towards a negative balance. Clients can either accept more trading margin or allow their broker to close the trade on their behalf. Choose whether you want to open a demo or real money trading account with Plus500. Fill in your personal details and open your client account within minutes. Finalise the registration of your new Plus500 trading account to gain access to funds management, deposit bonuses and more. Provide your address and complete the rest of the questionnaire to verify your account. When you’re ready to deposit, hit the ‘Funds’ tab and then the ‘Deposit’ button. Choose your preferred deposit method and hit ‘Make a deposit’. Ready to place your first trade? The image above displays a Plus500 Bitcoin trade. Stipulate how much you wish to invest, choose whether you want a stop loss or take profit order and hit the ‘Buy’ button. Plus500 does not supply its own cryptocurrency wallet. This is because, as a CFD broker, it never physically sells cryptocurrencies to its clients. Instead, clients are trading CFDs based on the market values of each respective digital asset. Plus500 allows you to ‘buy’ and ‘sell’ the market value of a cryptocurrency and profit based on the price move between your opening and closing order. If you decide you prefer the idea of trading cryptos physically via an exchange, we’d highly recommend using a hardware wallet. The likes of the Trezor and Ledger Nano S allow you to store your wallet’s private keys offline rather than online and within reach of unwanted cyber-hackers. To conclude at the end of this Plus500 review, we must attempt to ease the minds of those still wondering what is Plus500 and whether it’s a scam. It’s absolutely not. It’s a well-regulated CFD broker that is listed publicly on the London Stock Exchange. As with our other recommended CFD broker, eToro, Plus500 trading is regulated by the Financial Conduct Authority and the Cyprus Securities and Exchange Commission: two leading authorities that oversee the UK and EEA jurisdictions. Unfortunately, the Plus500 app and trading software is not compatible with the MetaTrader 4 platform which is the most commonly used among experienced CFD investors. This means you’ll have to put up with Plus500’s own trading platform to execute buy and sell orders. On the whole, you could do a lot worse than become a Plus500 client, but we still firmly believe that eToro is out in front as the market leader for trading cryptocurrencies via CFDs. eToro’s Crypto CopyFund is particularly beneficial, allowing new users to replicate cryptocurrency investments made by some of the most profitable traders within eToro’s social trading community. Try eToro and see what it’s like for yourself.